One more episode from Brooklyn, then home to Vermont for a while. Bert took quite a few guesses in Double Jeopardy!, including on what turned out to be the game’s penultimate clue. That $1,600 reduction cost him the lead. Vague enough. Let’s do this. We’ll look only at Allison and Bert. 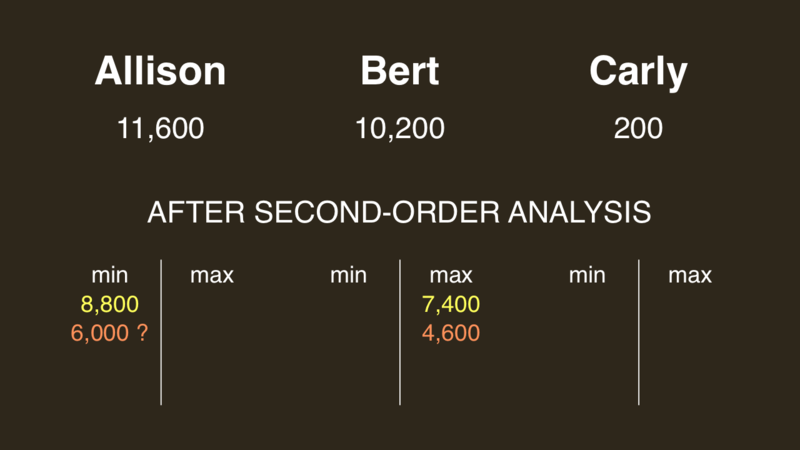 If Bert doubles his score, he’ll have 20,400. To cover this all-in wager, Allison will need to wager 8,800. An incorrect response with that wager will leave Allison with 2,800. 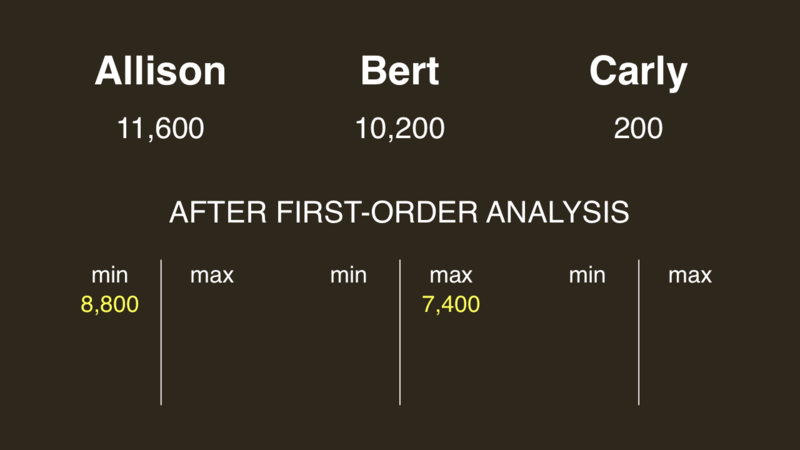 To stay above her total, Bert can wager up to 7,400. 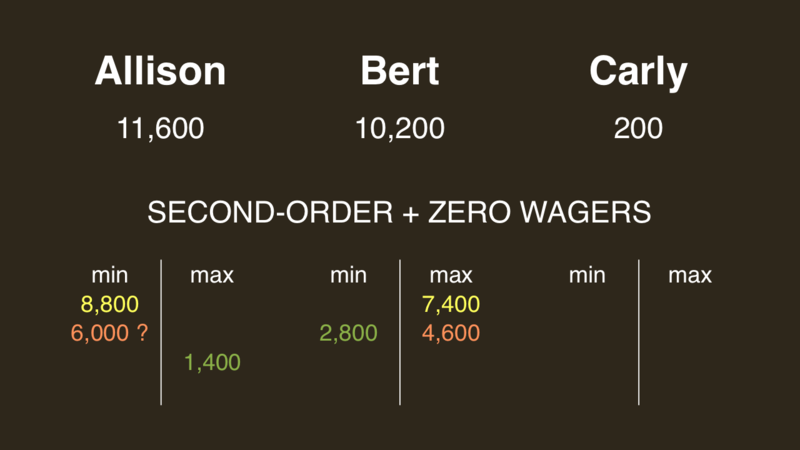 If Bert makes the rational maximum wager of 7,400, Allison will need to wager 6,000 to cover him. If she’s wrong with that wager, she’ll be left with 5,600. 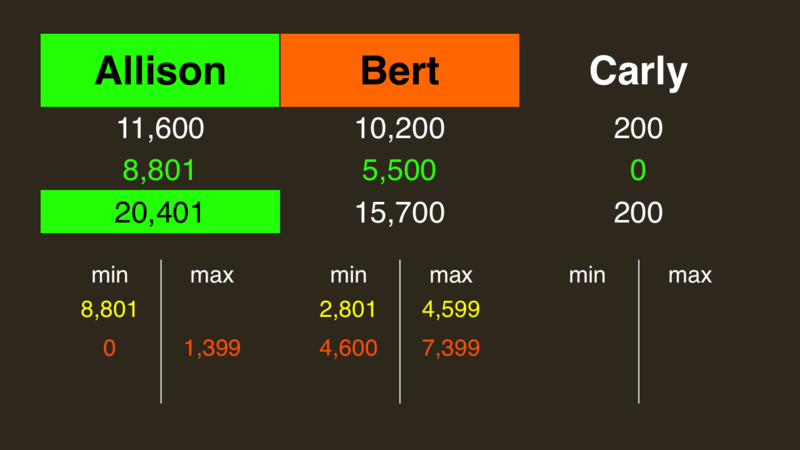 To stay above her, Bert can wager up to 4,600. …or by forcing him to respond correctly with a Colbyesque (or Brakhagesque – take your pick) wager of at most 1,399. 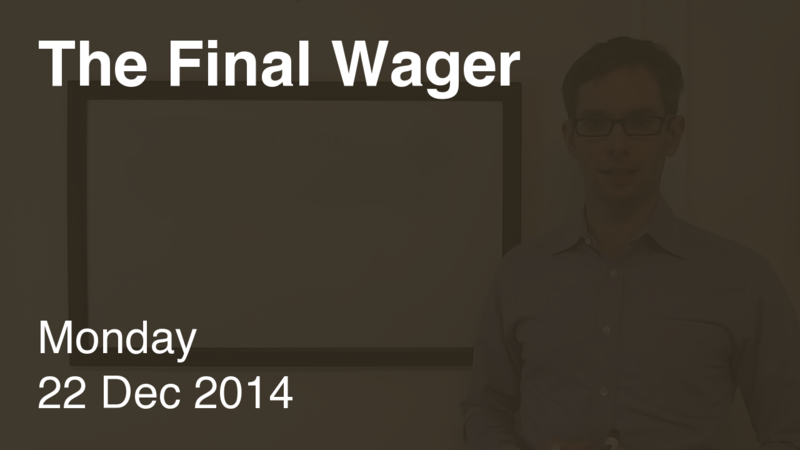 At this point, we add a dollar to the minimum wagers, and subtract a dollar from the maximum wagers. The guessing cost Bert a win, and a chance to don another bow tie tomorrow. But, really – who’s surprised he practically ran the SENATORS category?